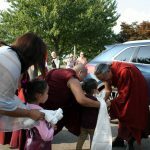 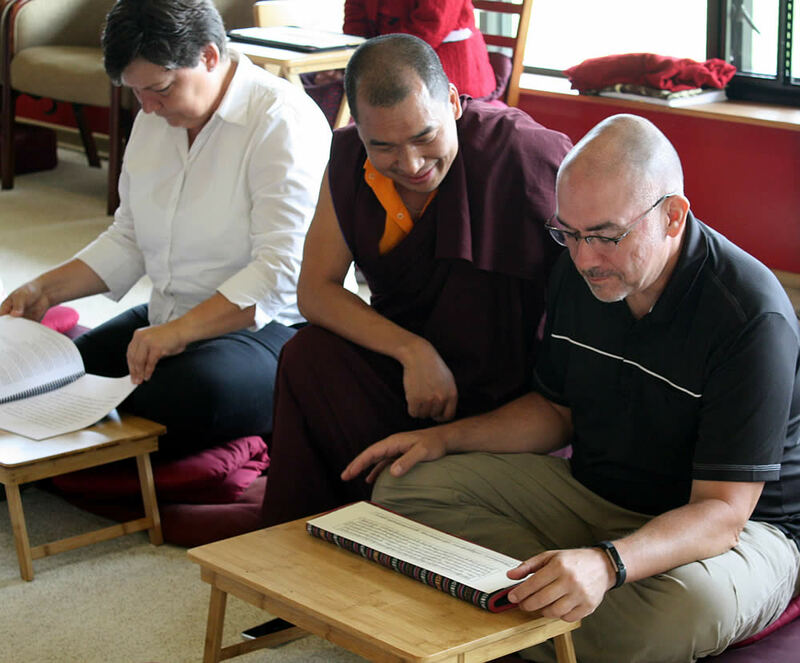 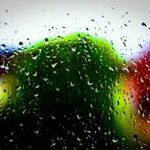 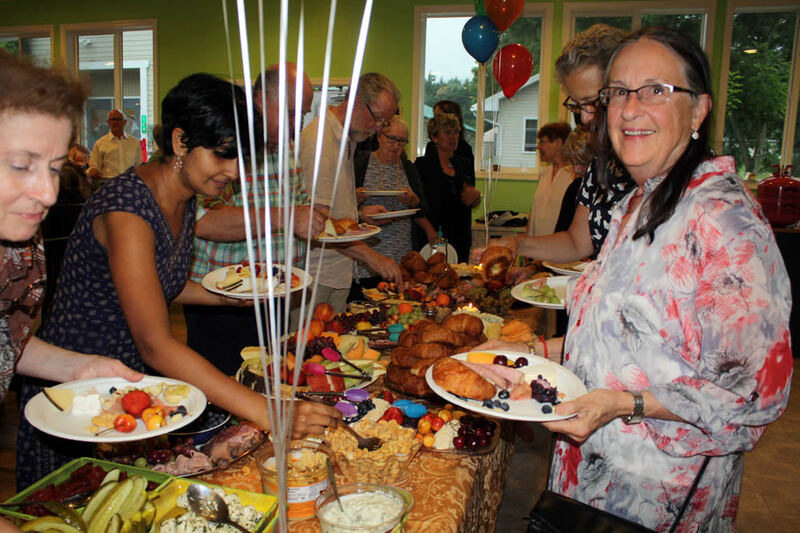 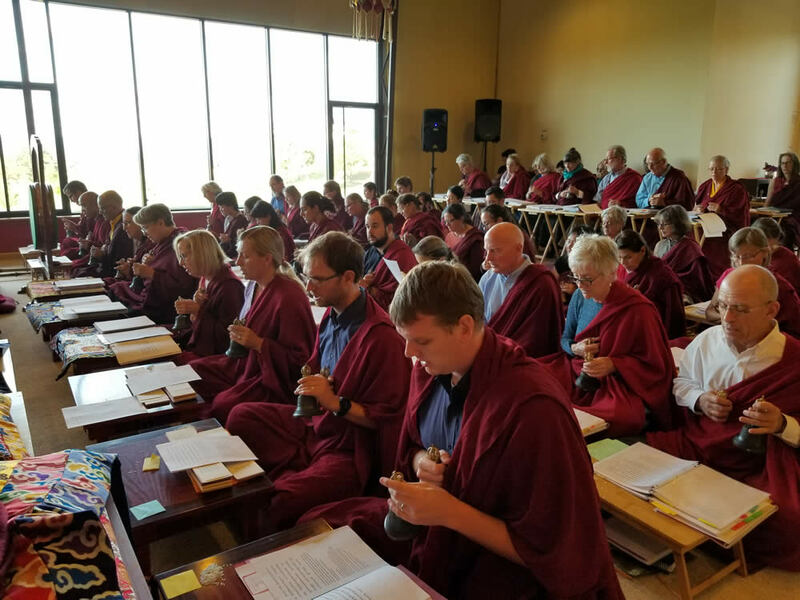 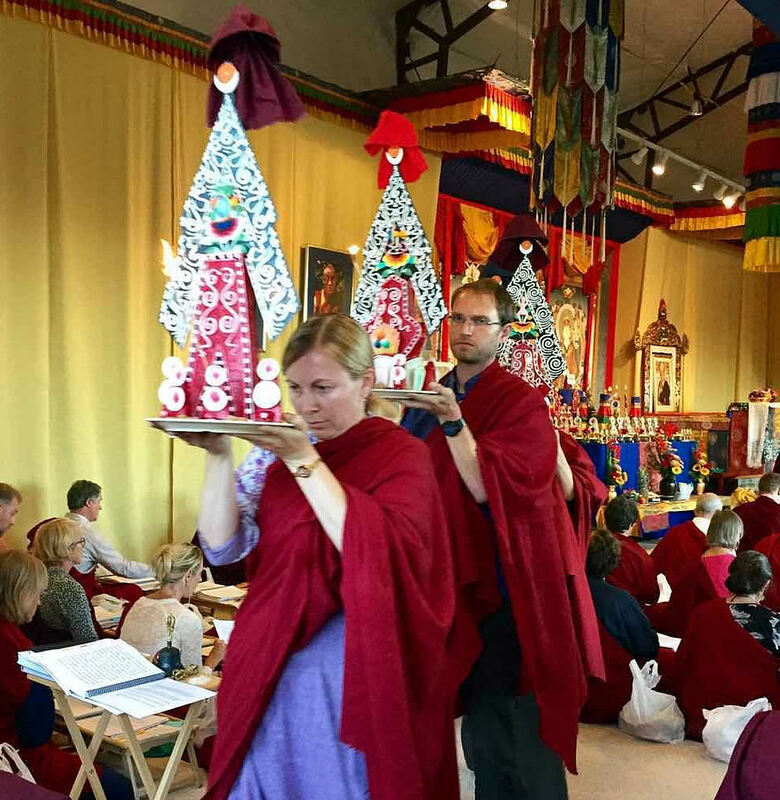 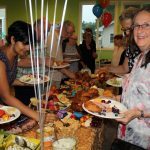 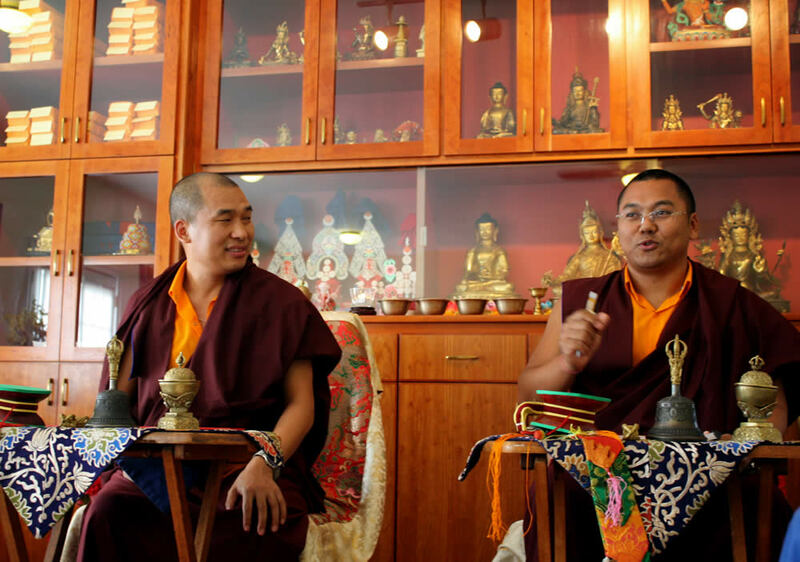 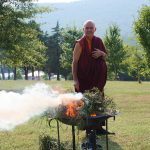 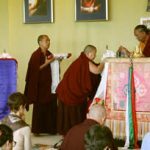 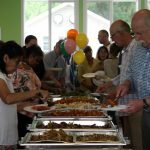 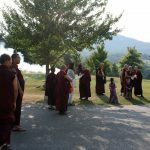 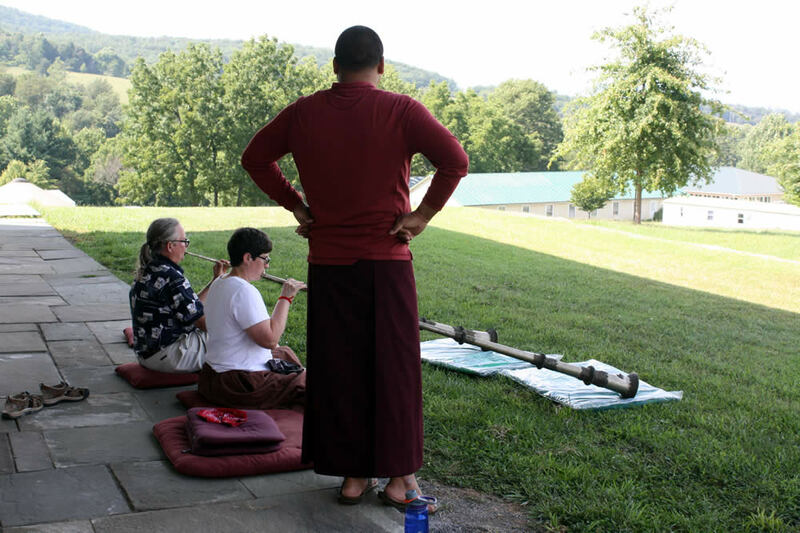 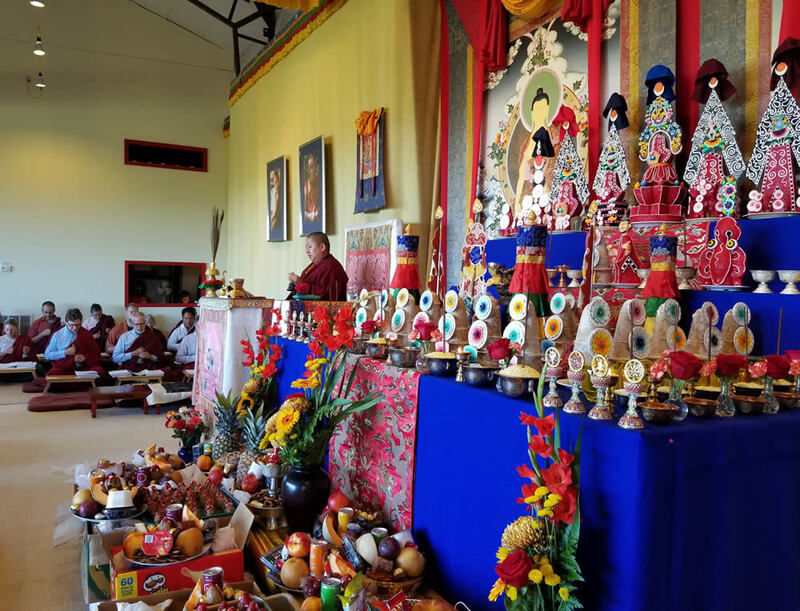 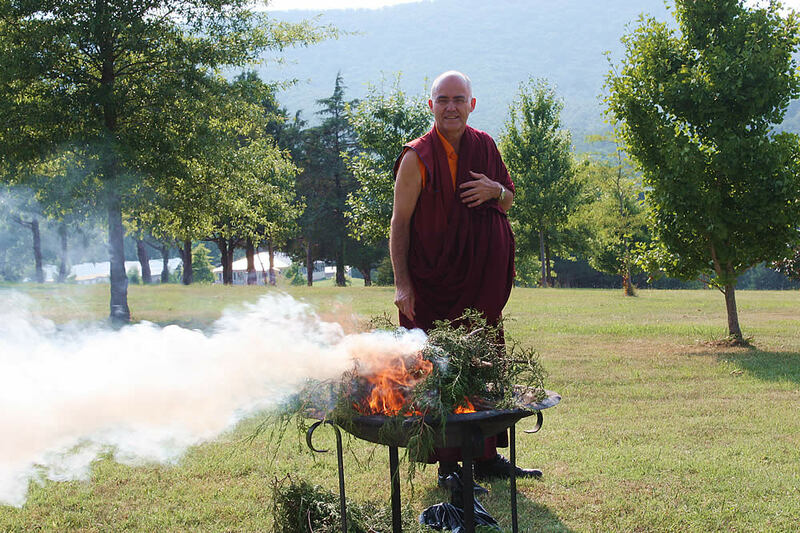 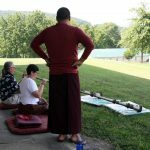 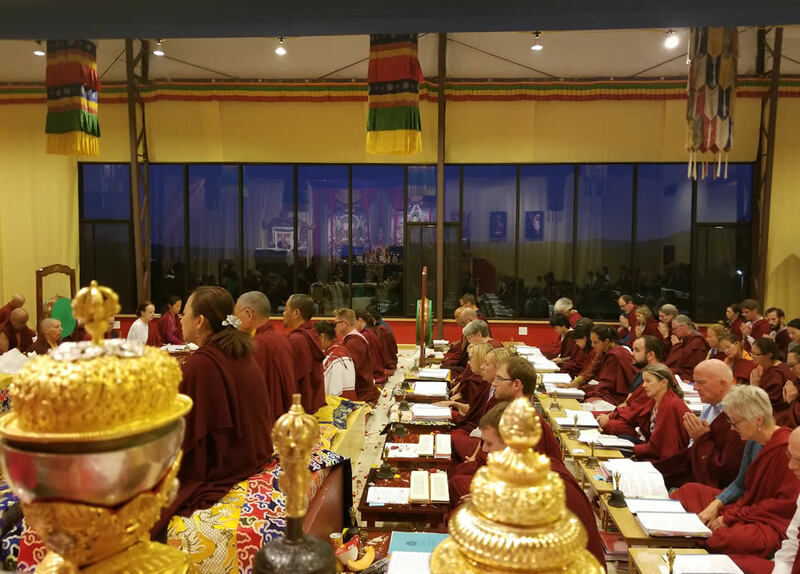 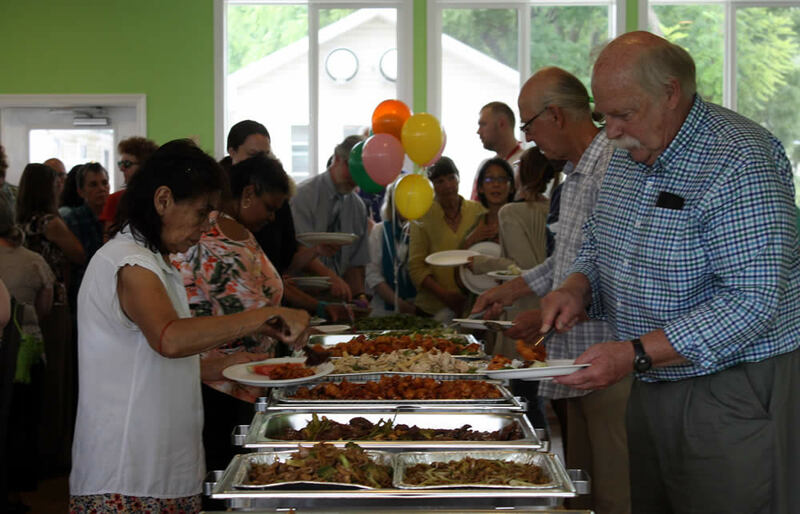 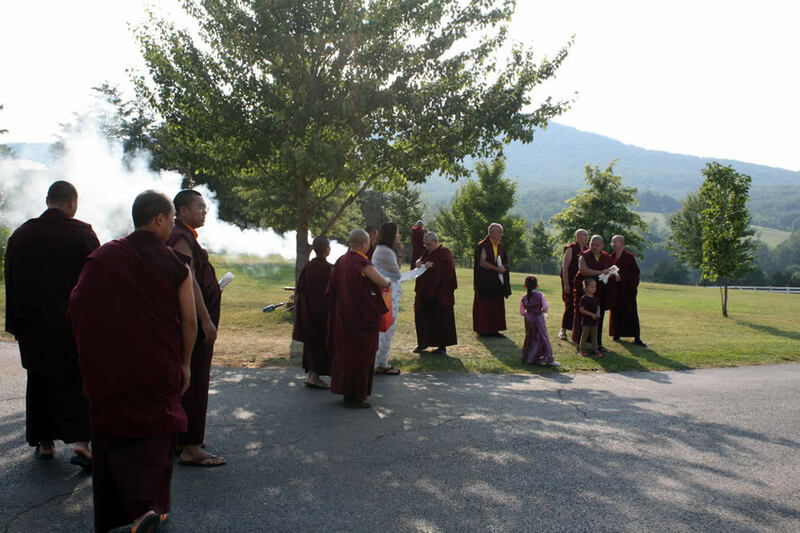 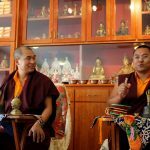 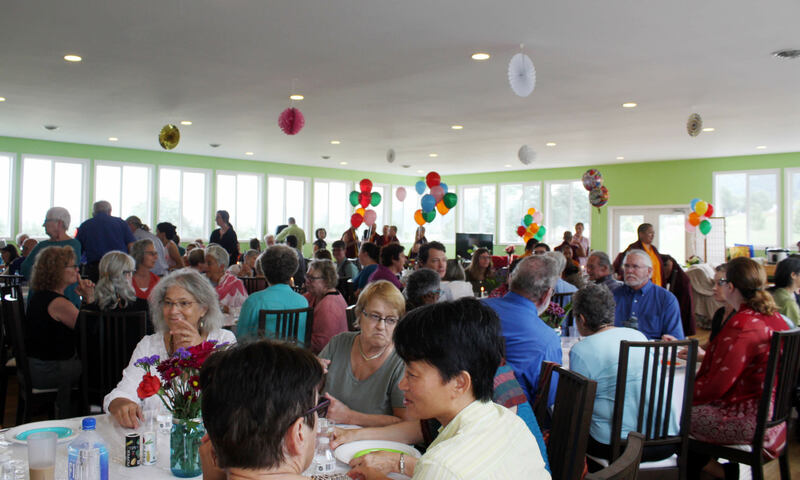 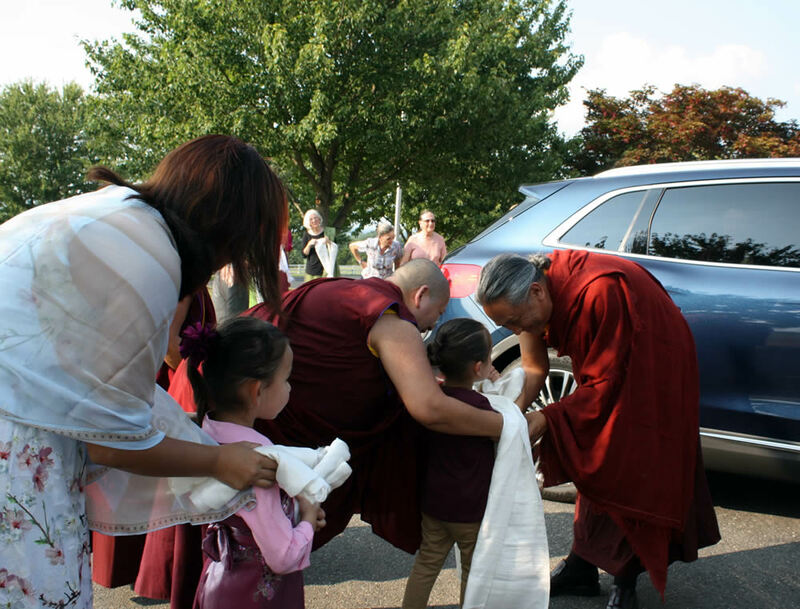 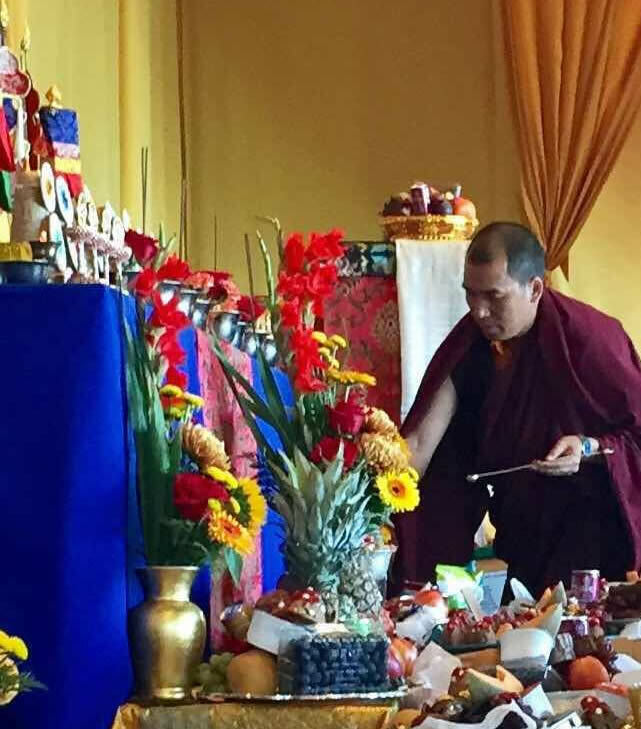 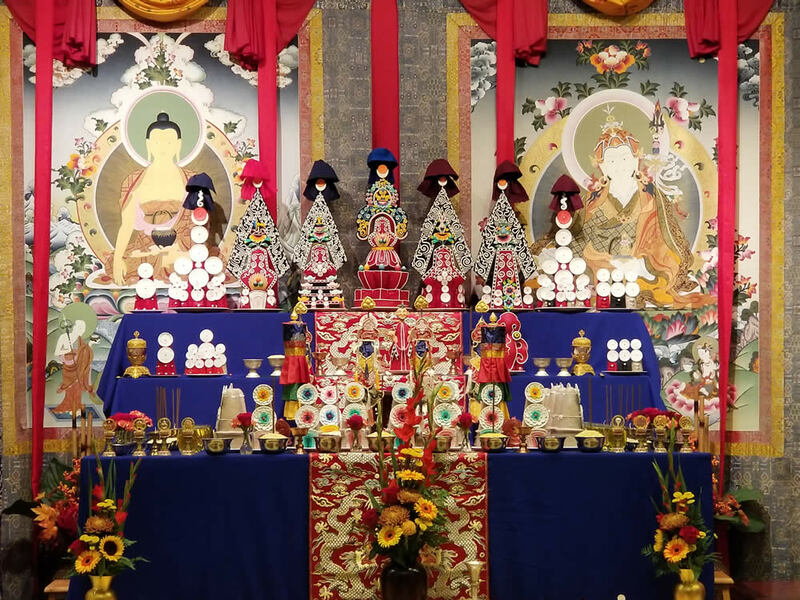 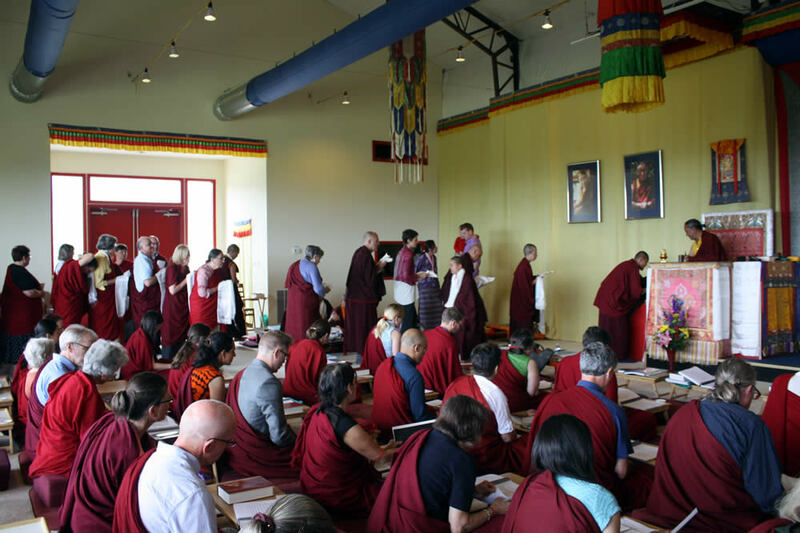 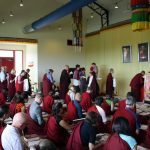 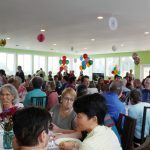 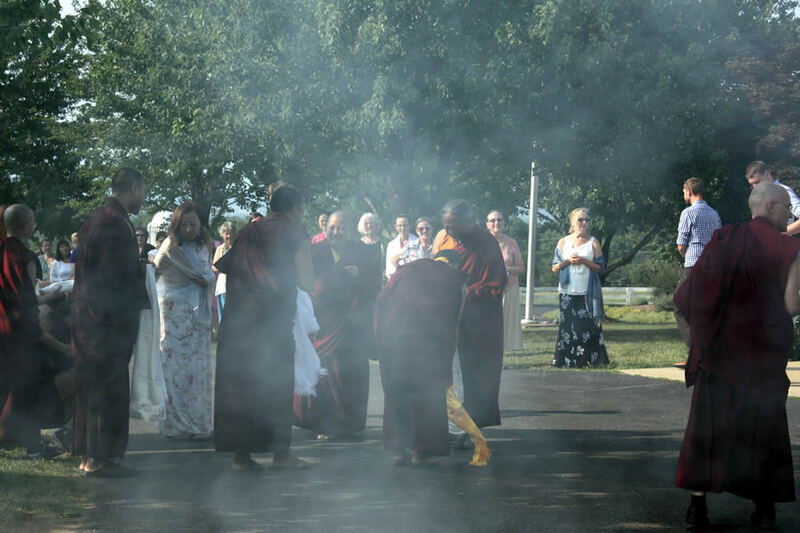 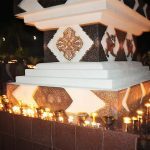 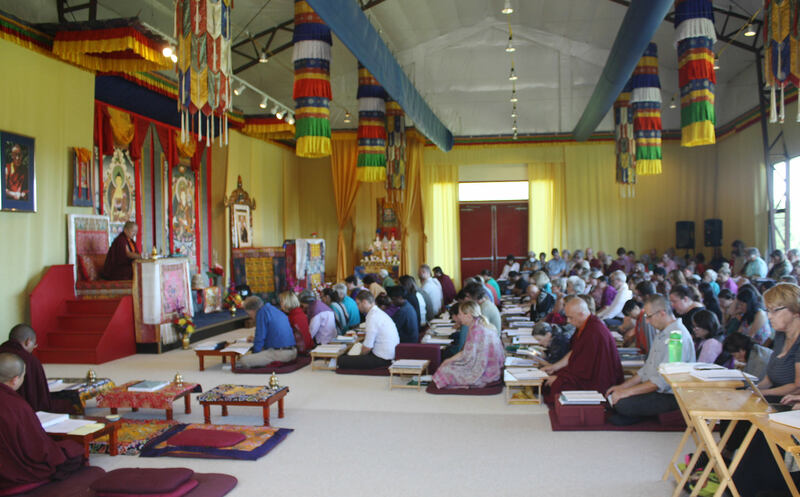 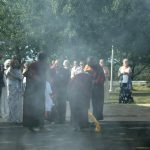 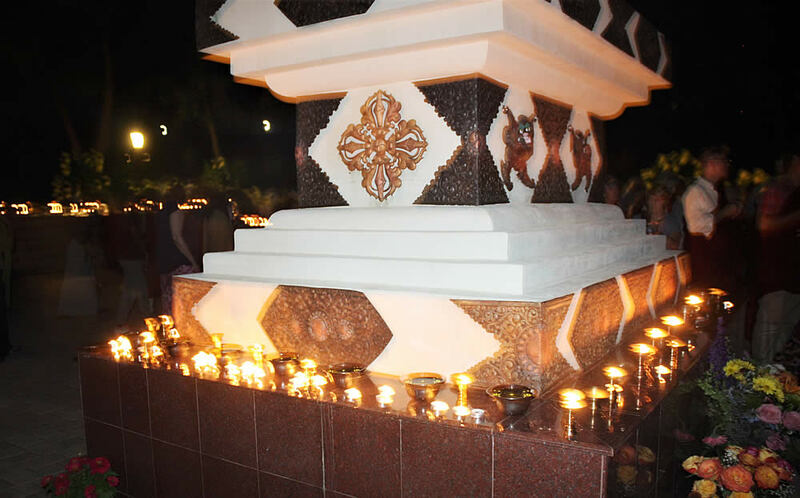 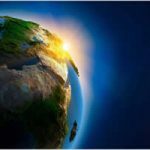 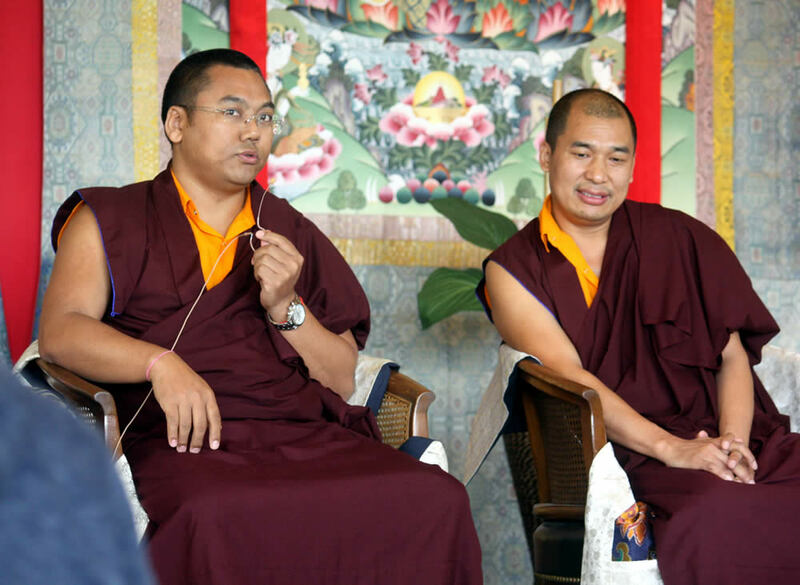 During the months of July through September, there was a downpour of blessings at Lotus Garden in the form of teachings, practices, and intensive training in the Tibetan language and ritual traditions of the Mindrolling lineage. 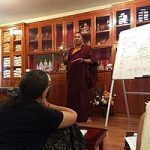 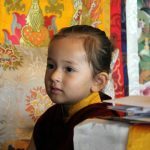 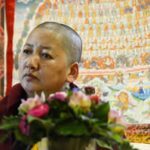 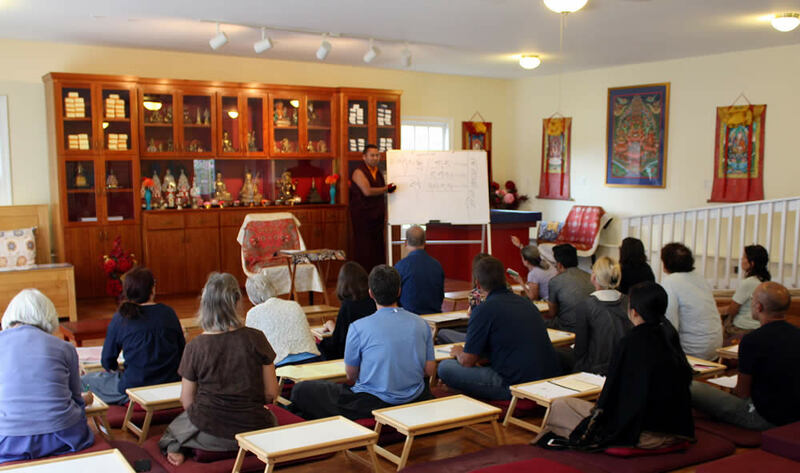 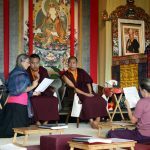 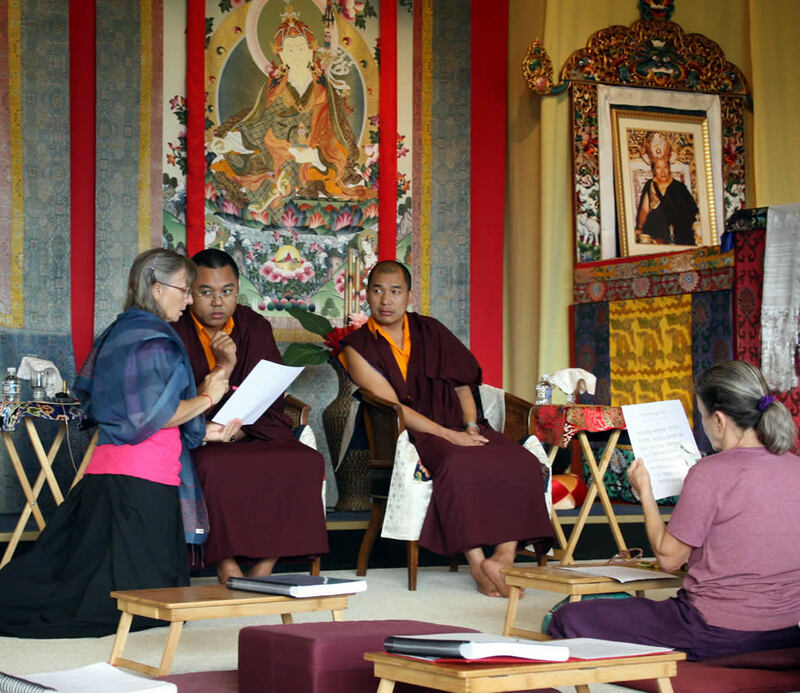 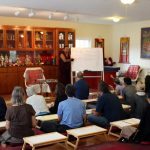 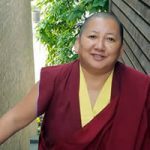 This rigorous and wonderful learning opportunity began with the annual Mindrol Lekshey program, which was conceived by Her Eminence Jetsün Khandro Rinpoche as a framework for the study of traditional philosophical texts and practical training in language and ritual. 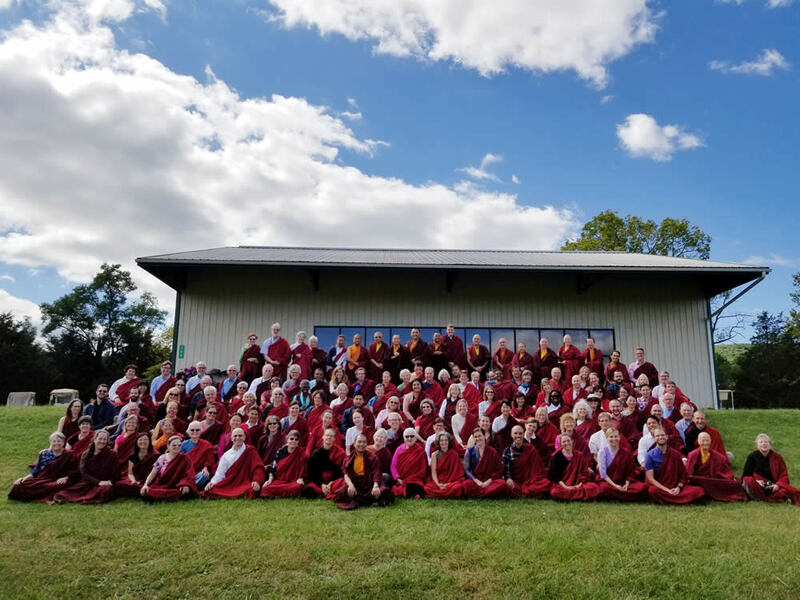 Along with Jetsün Khandro Rinpoche, Her Eminence Jetsün Dechen Paldrön and an accomplished group of monks and nuns from the Mindrolling Monastery in India worked tirelessly to share these traditions with Mindrol Lekshey participants. 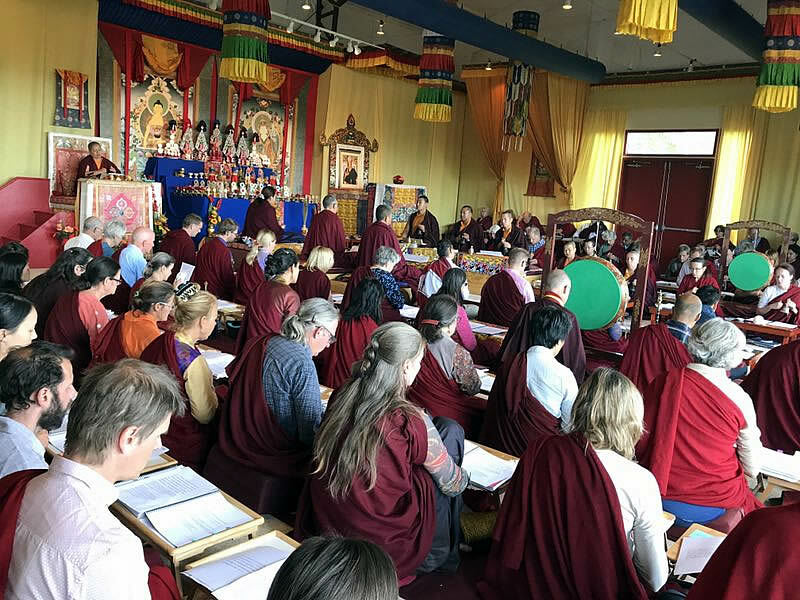 Within this rich mandala, His Eminence Dzigar Kongtrul Rinpoche kindly returned to complete his teaching cycle on The Mahayana Uttaratantra Shastra and to introduce a new cycle teachings on the Guhyagarbha Tantra, a central scripture of Tibetan Buddhism. 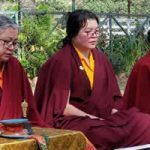 As well, Jetsün Khandro Rinpoche began a cycle of teachings based on Longchen Rabjam’s classical text on resting the mind in natural ease. 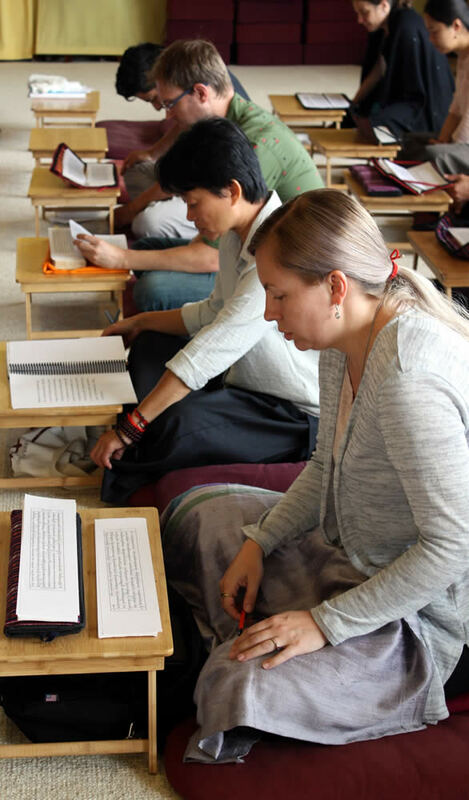 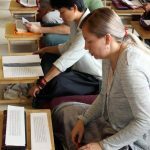 Following these precious teachings, students settled into a month of ritual and language study under the guidance of Jetsün Dechen Paldrön; Ven. 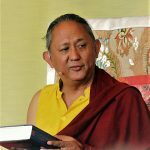 Tulku Ngawang Jigdral Kunga Rinpoche (Tulku Rinpoche), the chief umdze of Mindrolling Monastery in India; Ven. 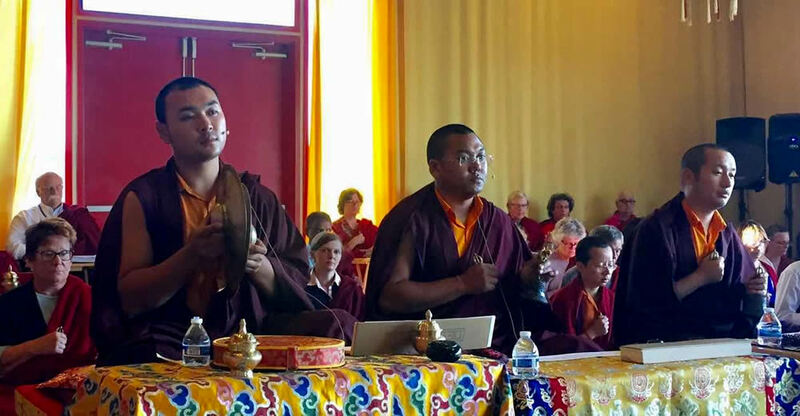 Lama Thrinley Gyaltsen; and Ven. 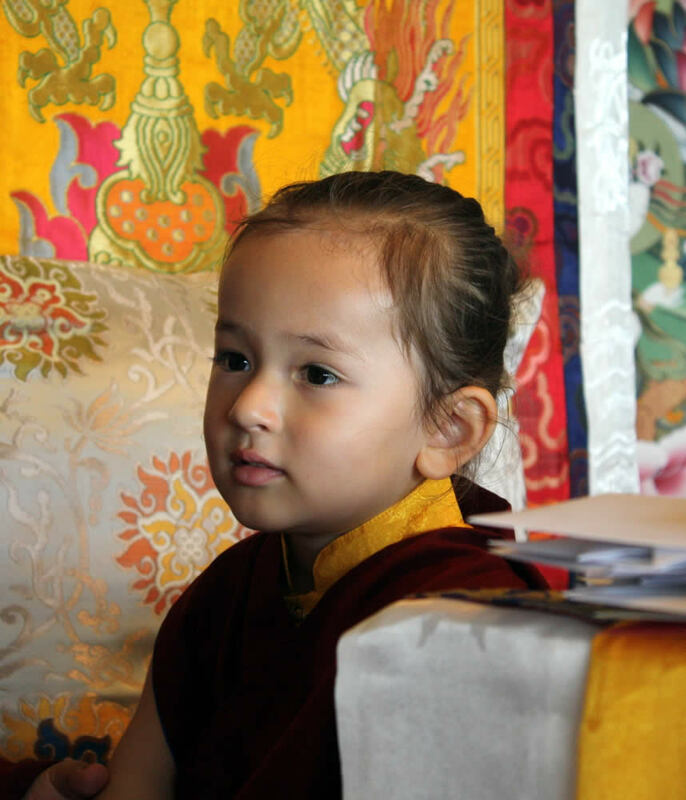 Acarya Namdrol Gyatso. 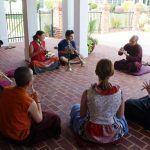 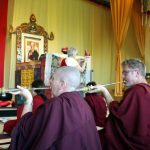 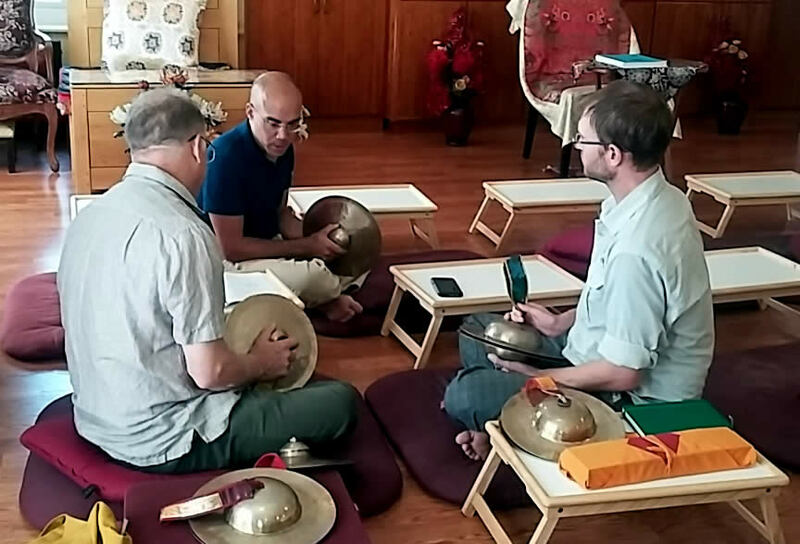 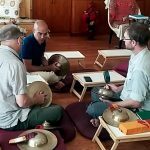 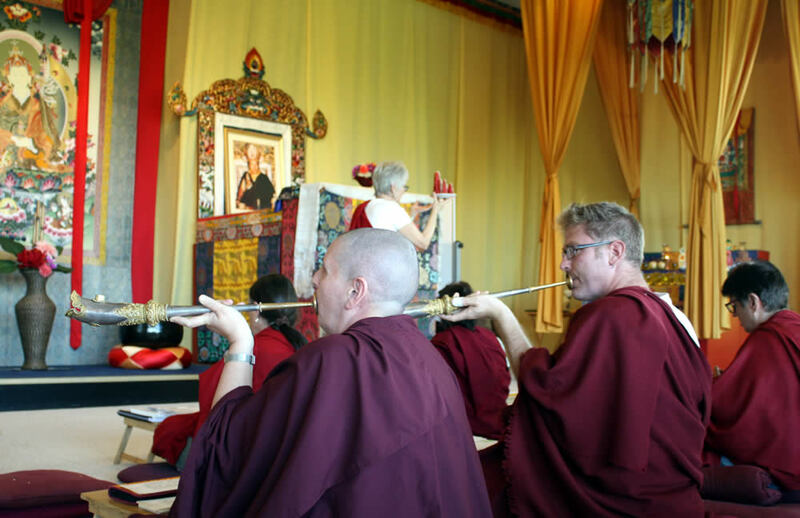 The training offered by these greatly skilled and knowledgeable teachers included the playing of ritual instruments and in-depth study of the practice of the Rigdzin Thugthig sadhana. 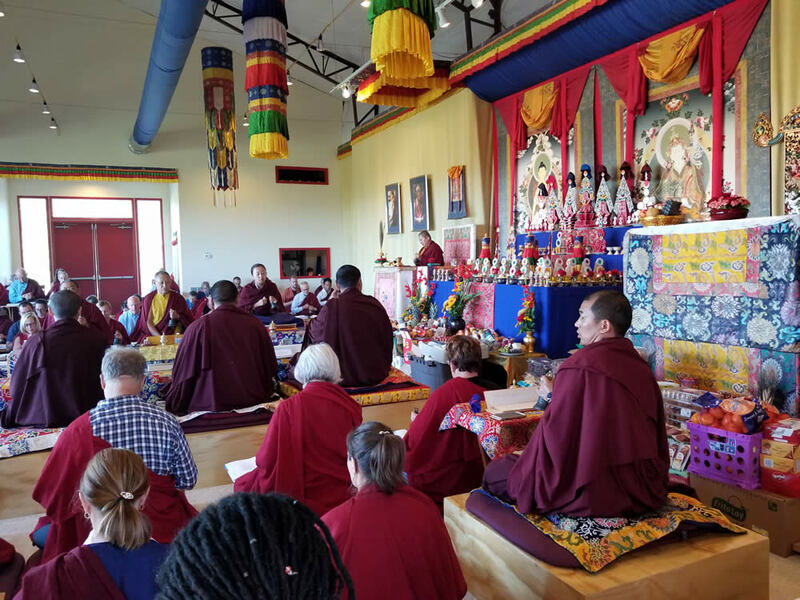 Moreover, it was with great delight that the sangha paused to celebrate the third birthday of Minling Dungse Rinpoche, again marking this happy occasion with donations to three local charitable organizations. 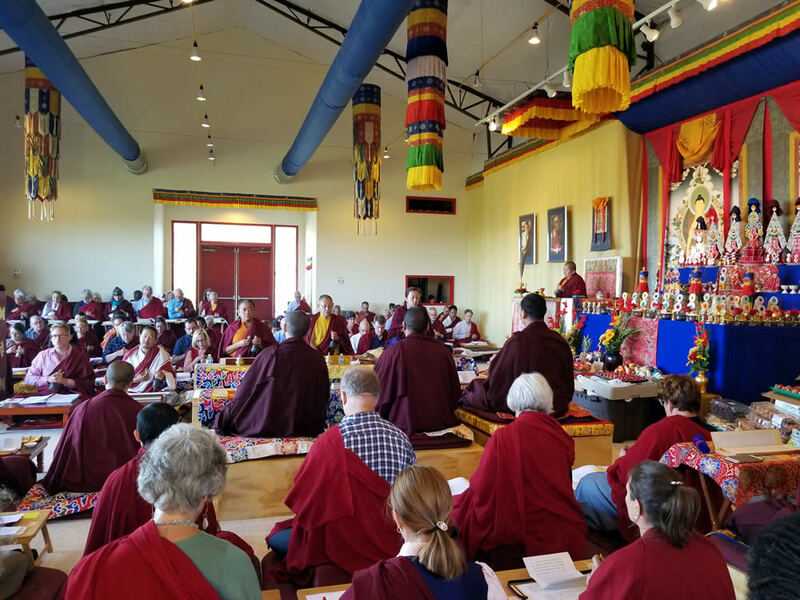 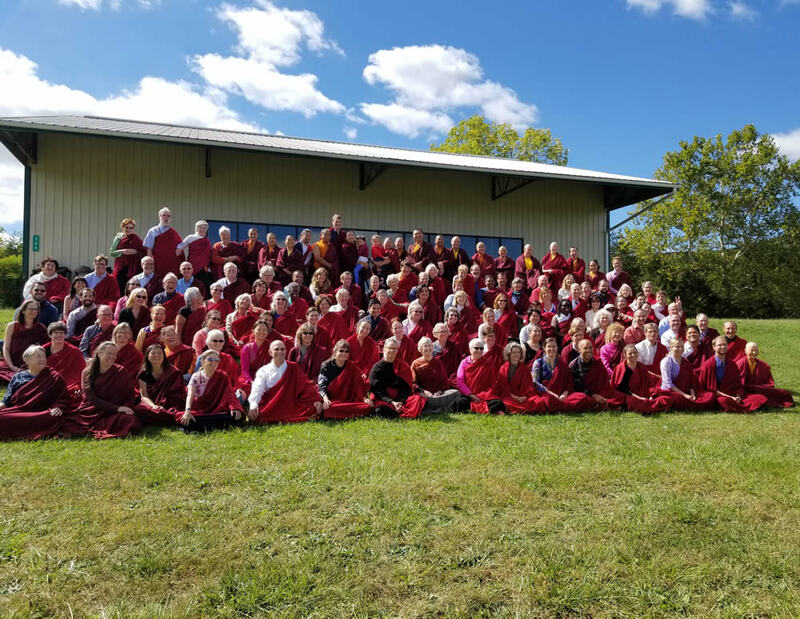 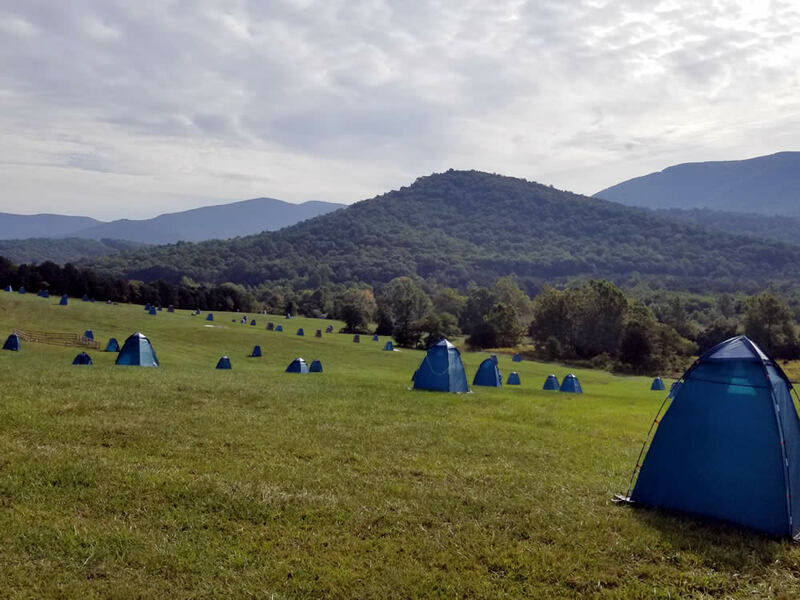 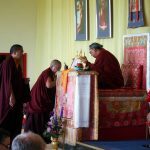 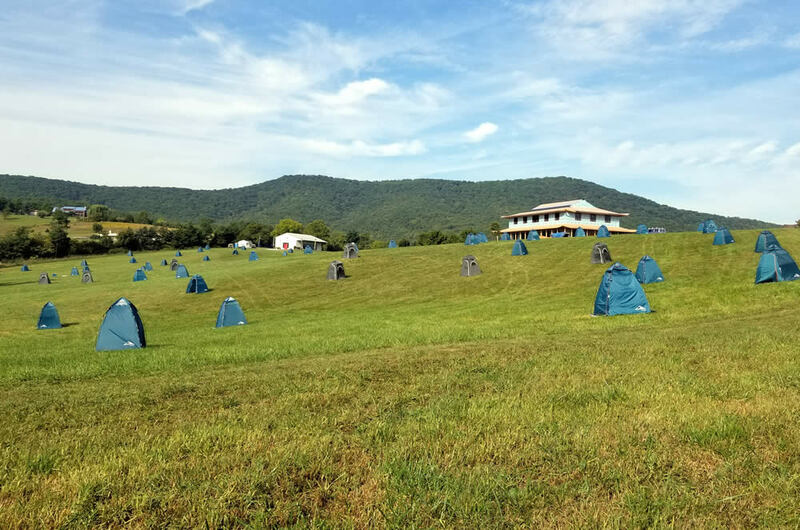 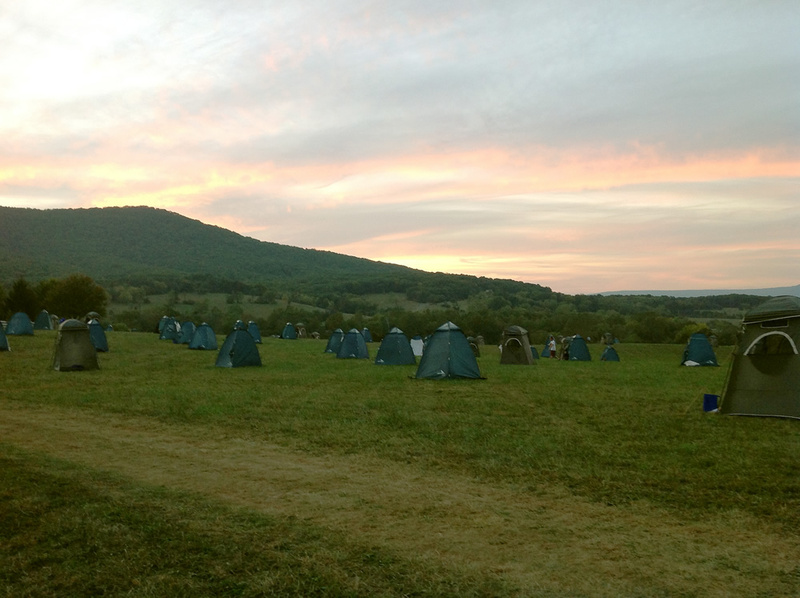 In September, the sangha then gathered for the annual Vajrayana Retreat, during which Jetsün Khandro Rinpoche continued to bestow the very precious transmissions, teachings, and instructions on the practices of trekchö and the Six Yogas, in the context of chö gar, or dharma encampment. 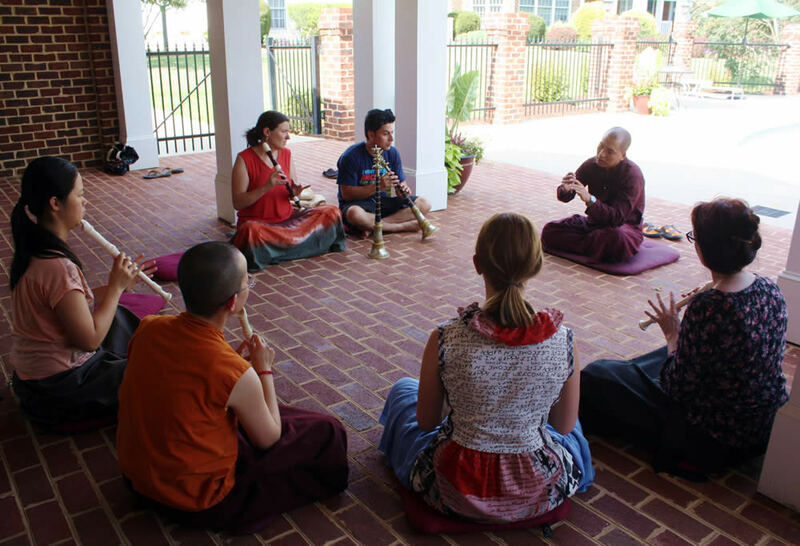 One memorable day was then spent practicing at key locations in Washington D.C., with the aspiration to bring blessings and peace to this pivotal place of power. 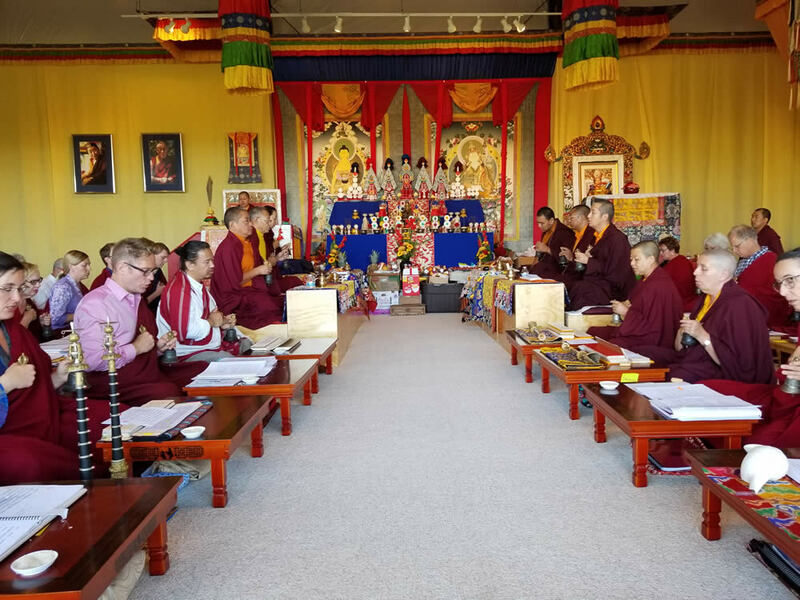 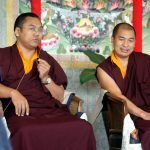 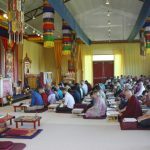 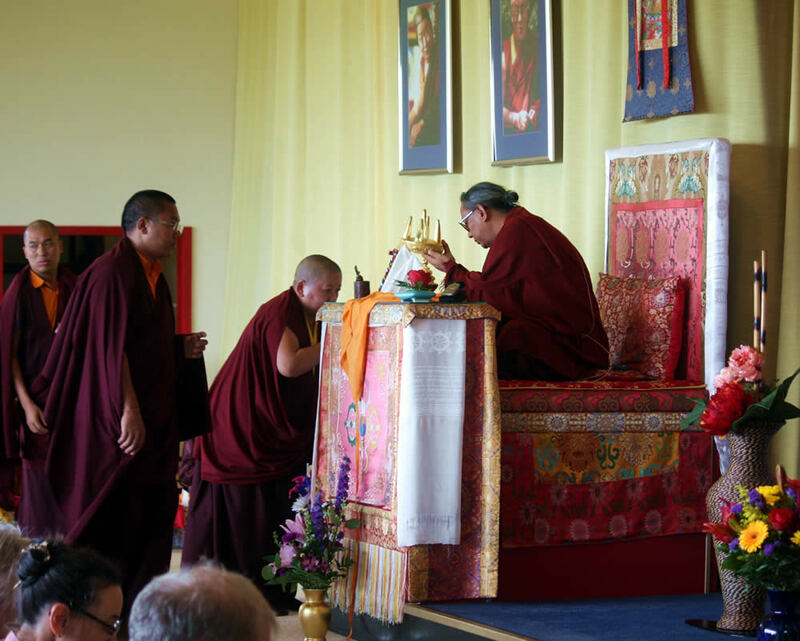 Due to the tremendous kindness, vast vision and blessings of Jetsün Khandro Rinpoche, the Vajrayana Retreat drew to a close with Lotus Garden’s first full drubchö, or intensive practice, of the Rigdzin Thugthig sadhana–with Jetsün Khandro Rinpoche presiding as dorje lopön, Tulku Rinpoche as umdze, and Ven. 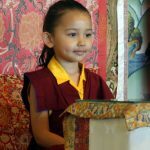 Lama Thrinley Gyaltsen as head chopön. 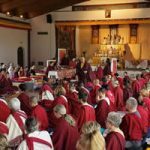 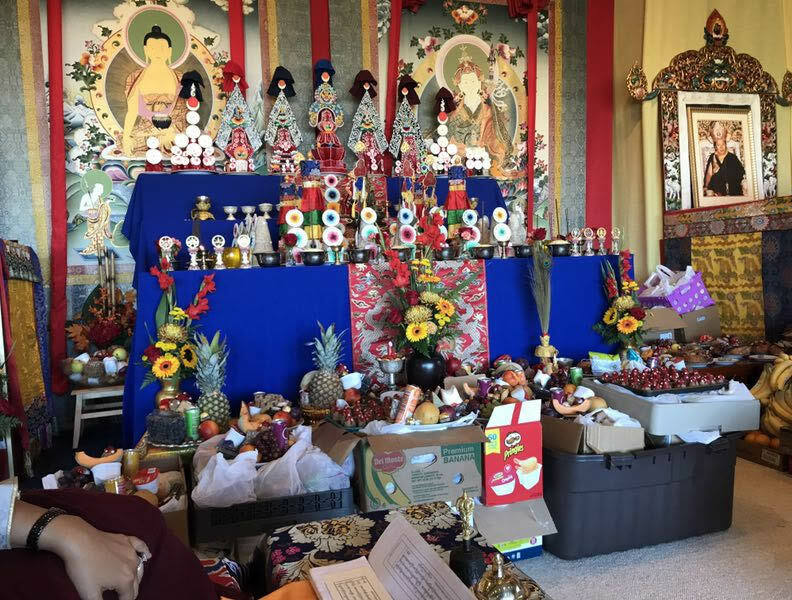 During this renowned Mindrolling ritual tradition, the sangha joyfully took part in 100,000 extensive feast offerings over three days, culminating on the auspicious Tse Chu, or Guru Rinpoche Day. 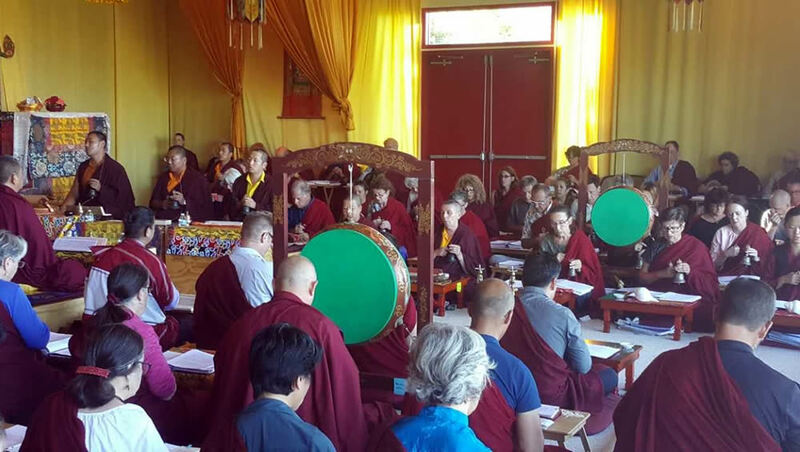 As the first drubchö of this caliber to take place in the West, history was surely made on this auspicious occasion.